Its Friday! Which means it’s time once again for a weekly video round-up of my favorite pop culture atrocities, misfires and entertaining trainwrecks. This week’s theme: One Episode Wonders! It’s true. There’s a reason you may not have heard of Heatvision and Jack, starring a then-unknown Jack Black, or Batgirl, a spinoff of the 60s Batman series. They were the shows that became nothing, never making it to the airwaves. Some slip through the cracks, however, and are given a shot on the network lineup. This may result in more episodes being picked up (as was the case with Seinfeld) or, more often than not, immediate cancellation. The shows discussed today experienced the latter scenario and were “cruelly” taken off the air after only one episode. 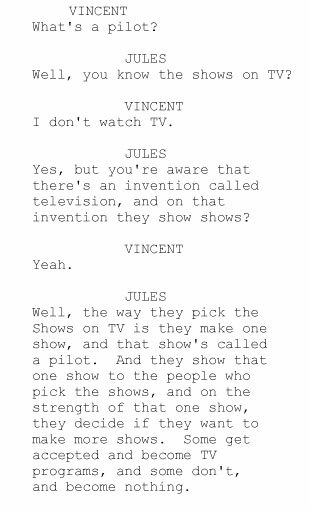 When any network is desperate to fill the gaping holes in their schedule, they traditionally turn to hit movies for inspiration. Especially if the movie was successful among the coveted demographic of beer bonging, dorm partying, college-age youngsters. The end result usually isn’t pretty. In 1979, Animal House hit theaters and grossed a ton of money. Audiences responded to the movie’s raunchy College humor. So in the fall of that year, each network debuted their their own sitcom with a frathouse setting. 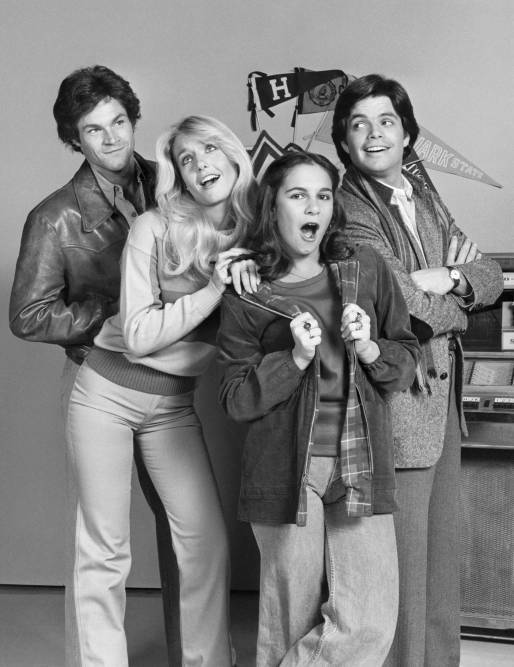 ABC’s Delta House, the offical spinoff, starred a young Michelle Pfeiffer and a few actors from the movie (but not John Belushi). While they were all canceled quickly, CBS’s Co-Ed Fever is the only one of the three that has the distinction of being a one episode wonder. From the looks of this clip, it may have been one episode too many. Poochinski is infamous for its jaw-droppingly ridiculous premise. 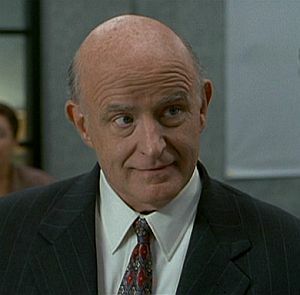 Peter Boyle plays Stanley Poochinski, a tough-as-nails cop who gets killed in the line of duty. Sounds like a fun idea for a show already! But that’s not all. 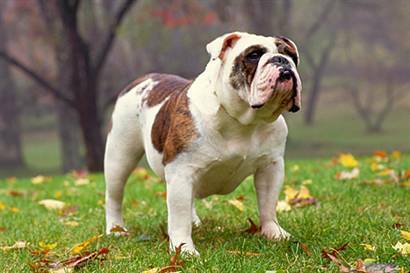 His soul goes into the body of a bulldog whom he had just befriended and he is able to go on living as a canine. And how coincidental that his name was already Poochinski. I’m sure people found it odd to call him that before his transformation. Eventually, he confides in his old partner Detective McKay (George Newbern, who also had a prominent role in the ill-fated Working Girl spinoff that same year). The two not only continue working together, but become roommates as well. When not fighting crime, Poochinksi and McKay get into some crazy antics, such as trying to score a date with the pretty girl upstairs (Amy Yasbeck, a few years before Wings). That’s a lot of plot for one half hour pilot! NBC aired Poochinski on July 9, 1990, pairing it with the similarly-fated Turner & Hooch spinoff. It appears that the late eighties canine buddy comedy craze was officially over, as low ratings caused both of these shows to be cancelled faster than you can say “woof.” Luckily Boyle got the opportunity to redeem himself with that other show a few years later. Marshall Herskovitz and Edward Zwick, the creators of Thirtysomething, decided to aim younger and get hip in the fall of 2007 with Quarterlife. They came up with the idea of a show about twenty-something artists that would be broadcast on the internet. Not only that, but they got in on the social networking revolution and utilized MySpace, as well as their own website, to get Q-Life out there. All in all, thirty-six eight minute webisodes were created with over nine million views. In the meantime, the infamous writers’ strike of 2008 was brewing and networks were getting nervous. No new material for months and months. What was a network to do? Well, executives at NBC had an idea. They would adapt Q-Life into six hour-long episodes and air it in primetime. How could it fail? It was a new show in the midst of the writers’ strike. And it was about young people. And young people like watching other young people, right? Wrong! It premiered in February of ’08 to horrendous ratings, the worst for NBC since the XFL. I guess viewers weren’t interested in seeing a whiny girl blog about herself. Q-Life is a great example of how something that is popular on the Internet doesn’t automatically translate to television.